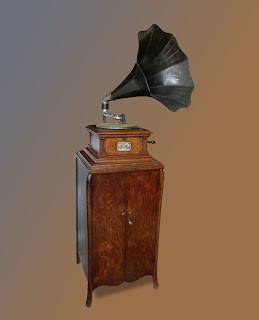 Very late model Victor III phonograph with correct, fitted, record cabinet. Shows parts later used in internal horn phonographs. 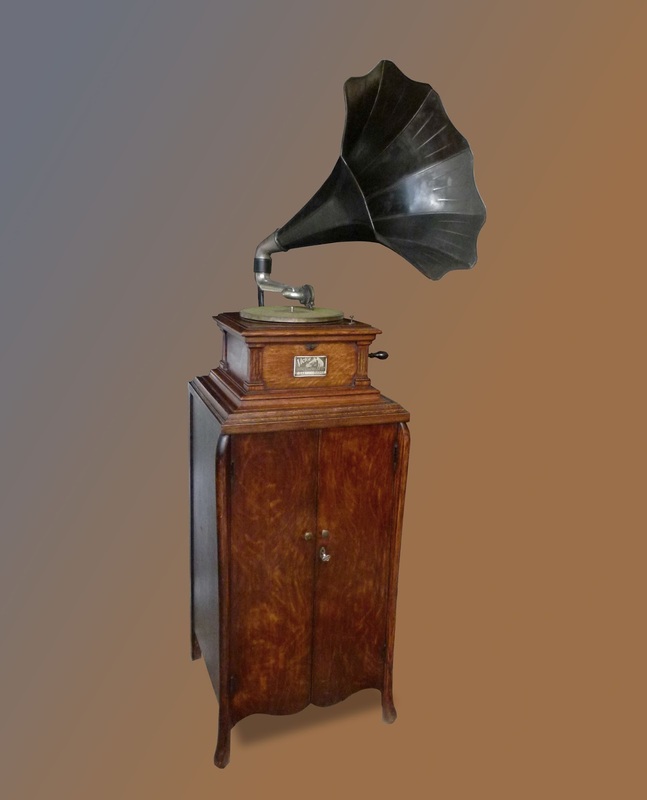 Very late in outside horn phonograph production.